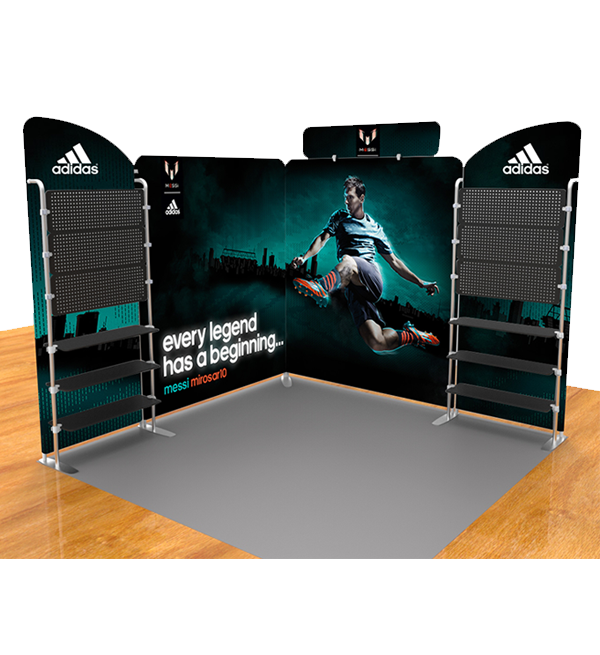 Digital Xpressions newly introducing a most exciting addition to the Smart-Fit series Q: the Smart-Fit Straight Tension Fabric Display Kit. 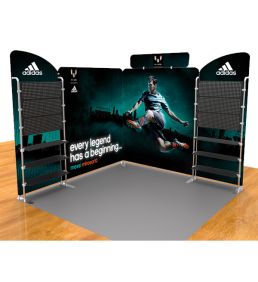 This incredible package boasts few difficult to trust features, such as two angle backdrop aluminum snap-tube frame, header snap-tube frame with 1 year hardware warranty and our top selling portable trade show display of all time, the Smart-Fit series Q, Smart Fit Straight Tension fabric display kit is designed for extraordinary branding and media power, letting you to showcase your item on a an entire top level. The shelving unit is perfect for product displays or keyboard and mouse arrangement, so your prospective clients can have an overall experience.